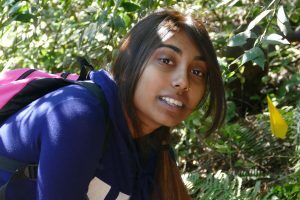 Each summer at Pepperwood, two dozen teenagers rove our 3,200 acre preserve photographing plants and insects, recording measurements of redwoods, and—perhaps most importantly—deepening their connection to the natural world. 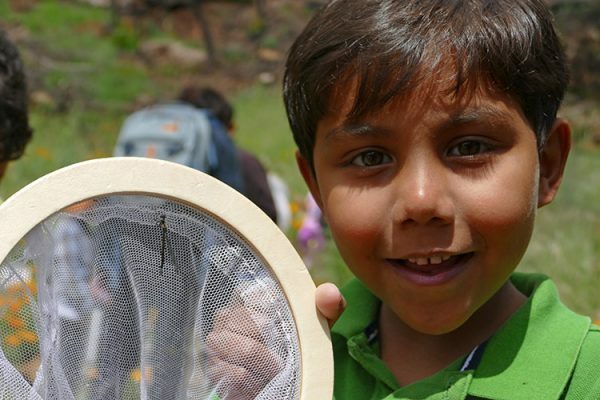 Some are aspiring scientists, while others simply have a deep appreciation for nature and are only just learning about career possibilities in the sciences. Thanks to you, TeenNat provides a venue for these youth to gain new insights at a critical juncture in their lives. Now entering its fifth summer, TeenNat is creating new ways for its graduates to build on their Pepperwood experience, including offering paid TeenNat Assistant positions, and providing support in accessing local service opportunities and nationwide internships. Learn more about TeenNat through the eyes of one of last summer’s interns below. Many trails of Pepperwood are adorned with the sky reaching redwood trees. The paths are laced with the sunlight that seeps through the redwoods’ needles. However, when looking up at the trees, we tend to overlook the fact that these incredible giants survive off of about 150 gallons of water per day in the summer. With the recent years of drought, how are the trees able to extract enough water from the ground and fog, or is there even enough water? At the base of the trees grow the western sword ferns, ferns that are known, based on their health and fertility, to indicate how much moisture is in the ground. 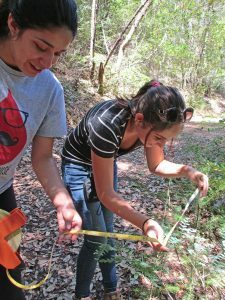 Interns from Pepperwood’s TeenNat program aided The Save the Redwoods League in sword fern monitoring as part of their Fern Watch program in order to determine the extent of the effect of the drought on our redwood forests. As TeenNat interns we received training and practiced setting up the plots in which we would collect sword fern data. When preparations were complete, we hiked to Redwood Canyon and were given random X and Y coordinates where sword ferns may be present. After finding the plots using transect tape, plots were then created by using a rope to measure a radius of 1.5 meters with an orange pin flag and plot ID in the middle of the circle. Ferns and location markers like tree stumps in the plot were drawn for future reference. The ferns were permanently tagged so we could measure them through time. The ferns themselves were counted and we recorded whether or not they were fertile, looking for reproductive sori on the back of their leaf-like fronds. Five fronds, picked to represent one fern, were checked for insect damage, fertility, length, and approximate age. All the ferns were photographed along with the plots, and the pin flags were left for future data collection. 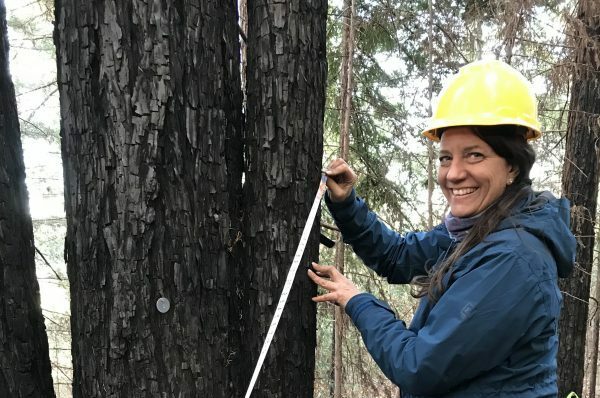 Since the abundance or scarcity of the ferns under redwoods could visually represent the moisture in the ground, our 2015 drought data was compared to 2016, which had average rainfall amounts the previous winter and spring. We found more new growth in summer 2016 compared to 2015. There were two entirely new ferns and 21 more newly grown fronds in 2016. Surprisingly, the average length of sori, representing fern fertility, was 5.2 cm longer during the 2015 drought year compared to 2016. Perhaps the ferns were water stressed and putting out more reproductive spores or this could be because there were more older reproductive fronds in 2015. Now that California has officially declared the end of the drought, the historically wet conditions of 2017 have the potential to increase the number of new plants we see, start more new growth, and increase the average sori length. 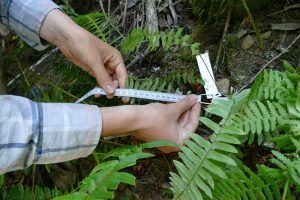 Data collected in summer 2017 on sword ferns will be compared to previous years to visualize either an alarming or promising percentage of fertile and healthy sword ferns. 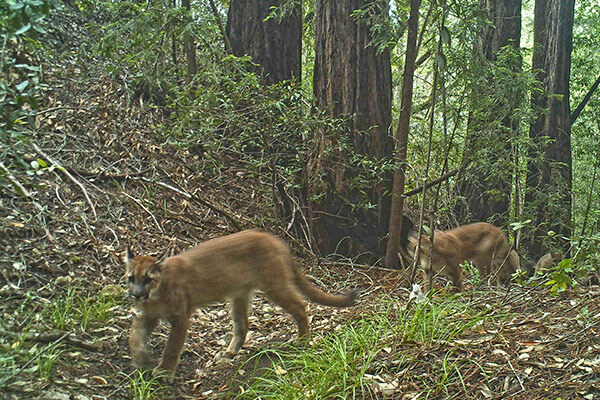 All of this ultimately will help us understand which areas are more advantageous for redwoods to grow, and where they need the most preservation. Click here to learn more about TeenNat.